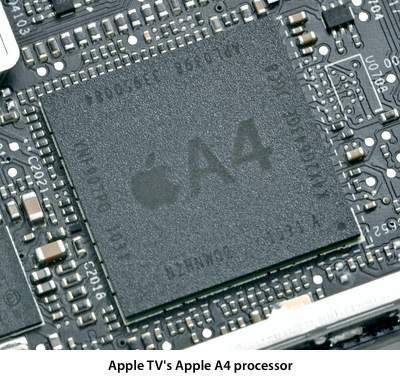 “We awarded the 2nd generation Apple TV a coveted Repairability Score of 8 / 10 due to its ease of disassembly, minuscule power consumption, and highly recyclable construction,” iFixit reports. Advertisement: The new AppleTV. The simplest way to watch your favorite HD movies and TV shows on your HD TV. Just $99. Buy Now. Full article with all of the photos – recommended – here. Standing by the door waiting for Fedex. Hhhoooooorrraaahhhhh. The insides look like a work of art! Maybe I will buy the new AppleTV and then shoe-horn the thing in my iPad. Then rig the ports to the old housing. Install the current OS and have no function to the new ports. Just so I can have that HDMI and mini USB to flaunt around!